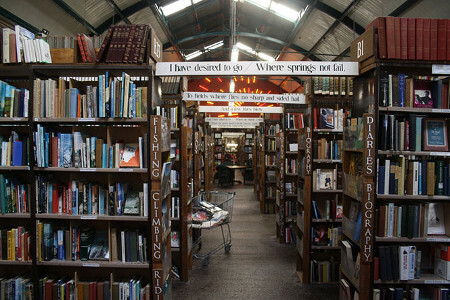 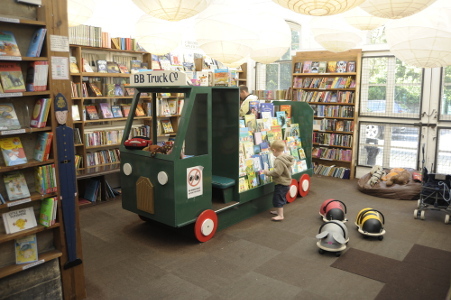 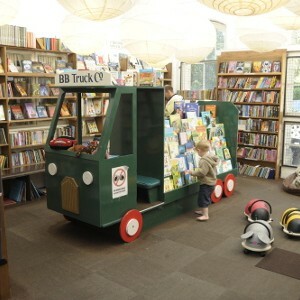 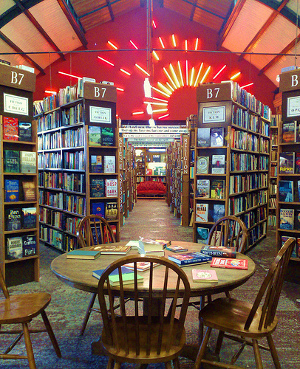 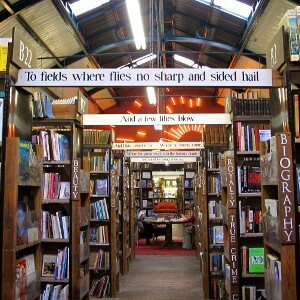 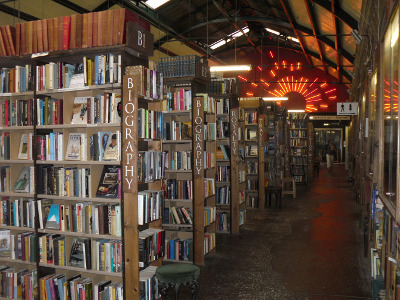 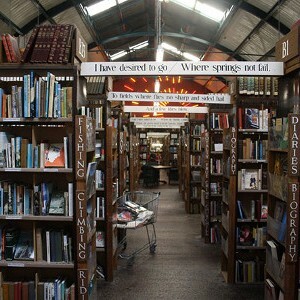 A secondhand bookstore owned and run by Stuart and Mary Manley, located in Northumberland, England. 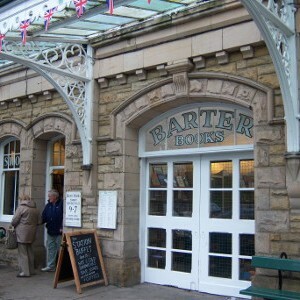 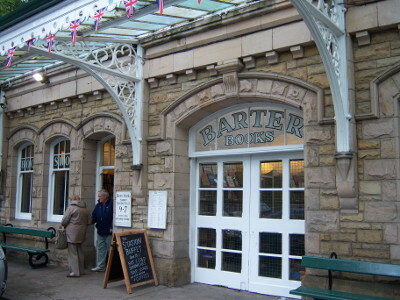 Barter Books is located in a refurbished railway station was opened in 1991, after the closure of the Alnwick branch line in 1968. 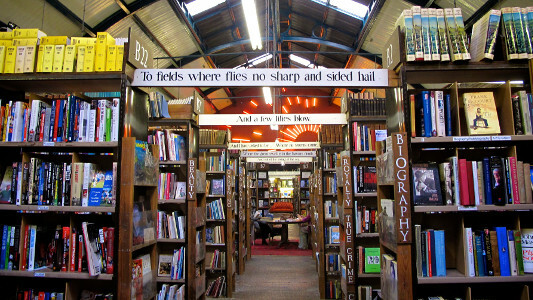 One notable feature of the bookshop is its barter system – whereby customers can exchange their books for credit against future purchases (of course, standard cash purchases are also available). 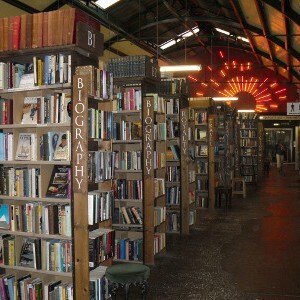 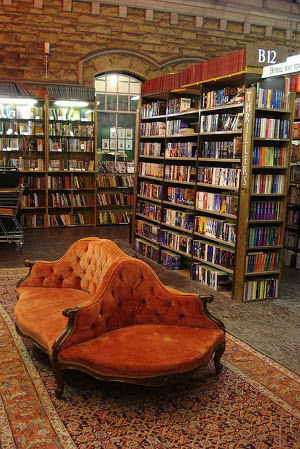 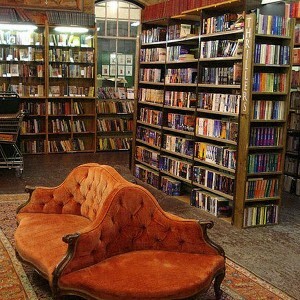 The bookshop has a lot to offer; from open fires and food, coffee, tea and cookies to a mini-cybercafe with free wifi. 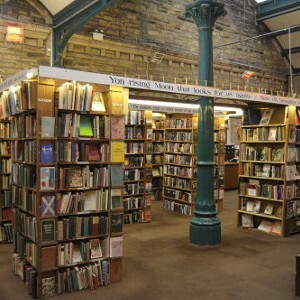 There is also a model railway acting as a link between the book columns, and poetry lines (as pictured). 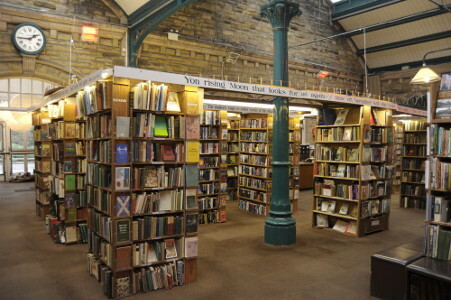 There are multiple restored station features, generous seating, a children’s room filled with toys and a huge room featuring forty glass cases containing more antiquarian books. 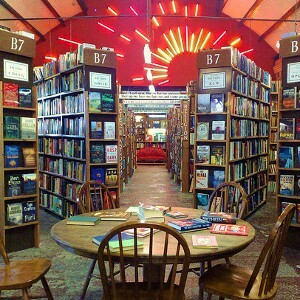 If you have a few hours free, you could easily spend them browsing and reading books in this cozy, quirky secondhand bookstore!